It is a pleasure to have one of Popped Music’s favourite psychedelic bands The Vryll Society finally release their long-awaited debut album Course of the Satellite. There has been an anticipation and buzz about this band from Liverpool for what feels like many years now. Popped music have supported them since their debut song Deep Blue Skies which was released back in 2015 with each Popped contributor expressing their delight for the gorgeous psych pop-tinged sounds that they had produced. From the moment I first saw them live at the Camden Assembly Hall more than a year ago in March, I knew this was a band that would grow in confidence and the momentum would gather pace. At the time I thought their studio recordings up to that point may have been missing some enhancement. But I am, however, glad to say that the extra time they have taken to find the right ingredients has meant that the craft of their songs has also improved. As a result, I think these factors along with the intricate and celestial production tweaks have all come together to create an album that is full of calm assurance and whimsical exploration. Album highlight Andrei Rublev (who incidentally was a Russian monk as well as a much-revered painter from the medieval ages) has some early-era Verve guitar licks which play away in blissful abandon. I am sure Rublev himself would be impressed at the musical art the Vryll Society superbly craft here. The album title track Course of the Satellite has layers of dreamy, psychedelic Moog sounds. This makes for a hazy and pleasing opening to the band’s debut album. It has an expansiveness that is all too pleasing to the ears and almost carries the listener off to lush psychedelic pastures new. A Perfect Rhythm moves through the gears and lifts off in impressive style. Having made this tune available for download already earlier this year, it received a glowing review from Popped and works perfectly here on the album by adding stature and grace to the proceedings. The vocals maintain a convincing focus throughout making it another highlight on offering here. There are dashes of Tame Impala and the Stone Roses’ influence throughout the record, which is not a bad thing by any means. At times this record to me sounds like a collaboration between Kevin Parker (Tame Impala’s brainchild & creator, if you didn’t know already) and John Squire (Stone Roses’ Kingpin guitarist). Their influences do filter through but in a refreshing way, produced by the band themselves. Clever drum shuffling and intricate bass greet each other on When The Air Is Hot to which it enables the song to breathe and result in a nice effortless loose grove but it’s just a shame that it finishes when it could expand and push their musical traits on a bit further, but I am sure they will master this with time. Inner Life is a darker, meaner and a dense slice of psychedelia with some funk undertones and the closing track Given To Me is a spacious and soulful croon which delivers delicately. 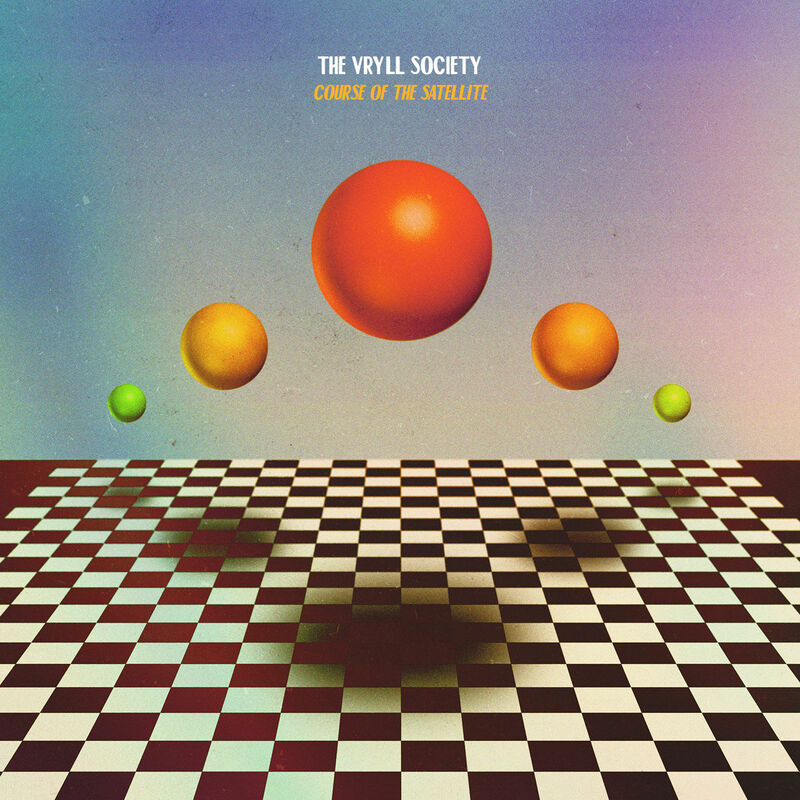 The Vryll Society have made a debut album full of impressive psychedelic pop nuggets which deserve to take all the credit for the intricacies and passion that they are playing with here on their debut. They will be touring in the autumn and I couldn’t think of many other ways of beating the inevitable autumn chill than losing yourself in The Vryll Society’s pleasant psych rock.